The limitations of physics have never kept human-kind from breaking barriers and developing cutting-edge technology to aide faster travel. One such conceptual development is the Skylon, a spacecraft that will offer people in the future a reliable, responsive and cost effective means to travel to space! 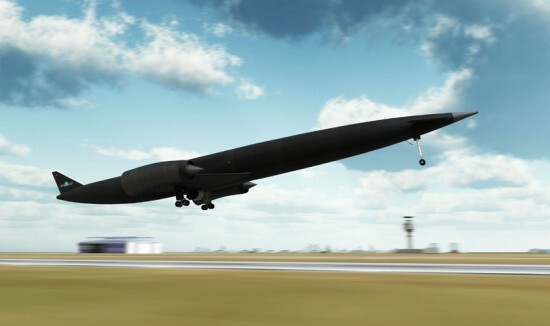 Powered by synergistic air-breathing rocket engines (SABRE), these futuristic aircrafts will be automated, without pilots, and will autonomously take off from a runway, fly direct to earth orbit and return for a runway landing, just like an aircraft. Furniture has had a long affair with the art of weaving, right from wicker chairs that sport woven patterns to wooden seating arrangements that sometimes use woven fibers extensively. To take this relationship up a step, India-based Acid Studio has unleashed the Cetka, a chair that is influenced by the art of weaving. 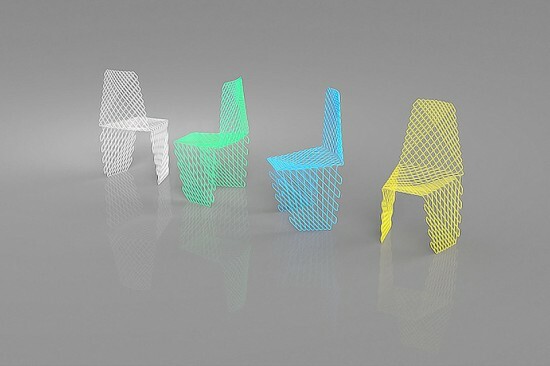 The chair has intricately interlacing lines that serve as an ornamental advantage while giving the seat a sturdy base. The duck that gave golden eggs may be a fairy tale, but this one that generates solar energy sure as hell isn’t! Conceived by designers Hareth Pochee, Adam Khan, Louis Leger and Patrick Fryer, from Britain, this sculptor is fun to look at and helps the environment too! 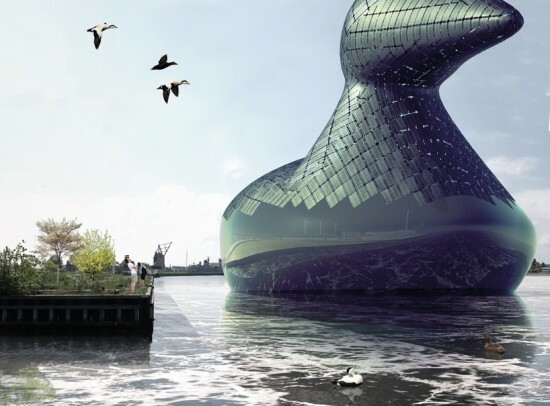 Inspired by the enormous eider (a northern sea duck), the Energy Duck has been submitted as an entry of the 2014 Land Art Generator Initiative Design Competition. The next time you visit Amsterdam airport in search for a practical way to workout, don’t miss out on one of these WeBIKE tables. 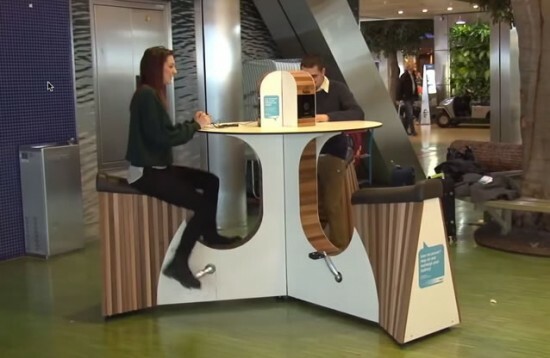 Developed by Belgium-based WeWATT and installed at the Schiphol Airport, these desks sport pedals that allow users to exercise, while generating energy to juice up gadgets! The pedals attached to the desks are hooked onto dynamos that convert physical exertion into energy. The energy generated is then used to charge smartphones, point-and-shoot cameras, tablets and other smaller devices. We’ve always loved strong WiFi signals. For us, these are more than just electronically transmitted magic beams that give us unlimited access to the world of the internet. This is exactly why this revelation by an artist named Luis Hernan has left us jaw-dropped. Luis’ project, the Kirlian Device mobile application, translates WiFi signals into a five-color heatmap scheme where red means stronger signals and blue means weaker signals. 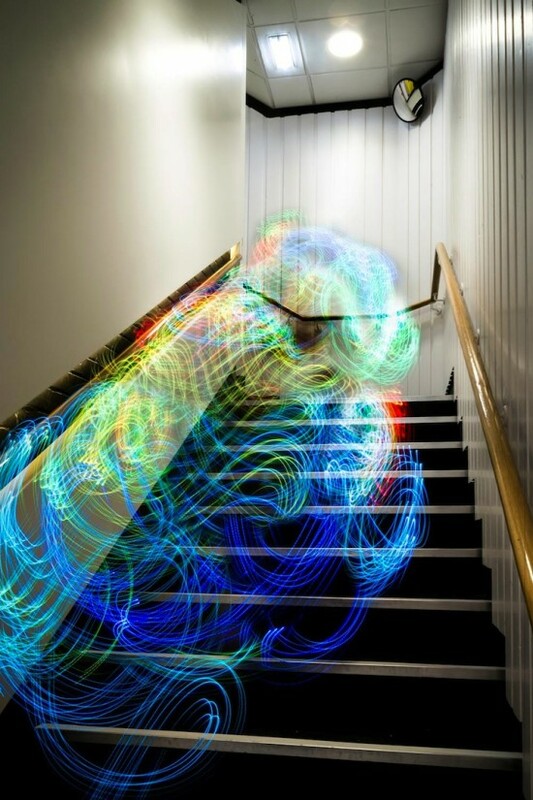 Using the application, Luis was able to create a series of performance art that captures these WiFi signals as colorful streaks in the air, using low exposure photography. 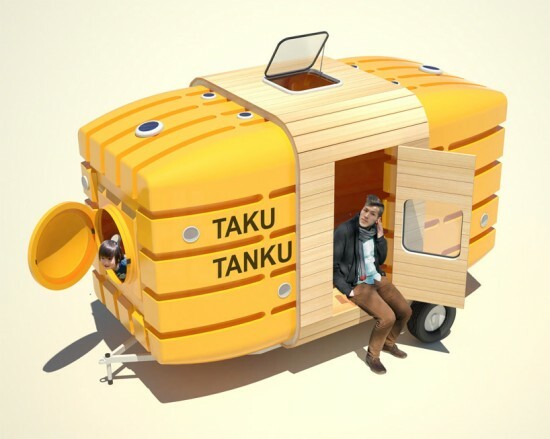 Taku-Tanku concept micro-home is made from repurposed water tanks! Recycling and repurposing used articles is important in an environment that’s slowly being choked to death by pollutants. Keeping this in mind, New York city-based Stereotank has designed the Taku-Tanku for the Little House competition held in Japan. This home is literally little and is carved into the insides of repurposed water tanks. Two 3,000-liter water tanks and other prefabricated materials were used to build the Taku-Tanku. 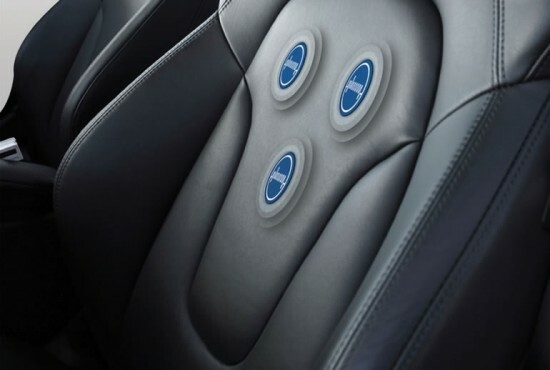 Falling asleep at the wheel while driving isn’t uncommon and incidents like these have led to accidents world-wide long since human kind began to imagine that sleep deprivation and driving do not go hand in hand. Incidentally, they do, and driving while sleepy can lead to severe consequences, endangering your life and that of others around you. Plessey Semiconductors and a team of researchers at Nottingham Trent University are currently working on a feasible way to prevent occurrences like these from happening. We all hate watching energy trickle out of our mobile phones. For the most of us, plugging a phone into a charging outlet is the worst part of the day. To make things easier, NY design consultancy FormNation has taken a few technological steps back to unveil this phone that promises to stay powered on for roughly about a month on a single charge! Dutch-born designer Jan Habraken and his team designed an e-ink prototype of the iPhone that is affordable, performs all the necessary tasks you’d expect from a phone, and stays on for a month on a single charge. Conventional building structures that looked like cardboard boxes or LEGO structures are on their way out. Instead, cities have begun adopting out-of-the-box designs for buildings that lend a hand in aesthetic beauty and make life less conforming. 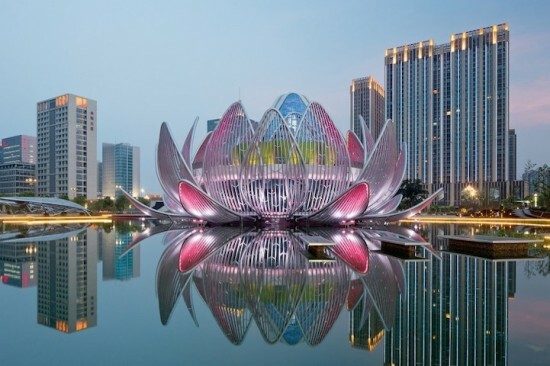 Melbourne-based architecture firm studio505 recently pulled the veil off a very special structure in China, called the Lotus Building and People’s Park. Located in Wujin, the structure is exactly what its name claims it to be, a lotus shaped building! Dubai loves living life big size. This ideology is pretty much carried over to the architecture in the city too. 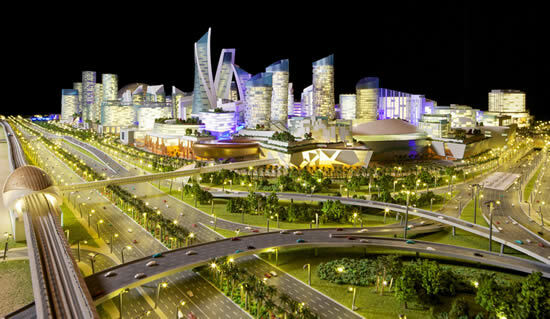 Now, Emirate’s rulers have begun planning to bring home the world’s largest mall, nicknamed the Mall of the World. Unlike any created in the world, this mall will turn Dubai into a bigger shopping hotspot than it already is. To cover a massive area of 8,000,000 square feet, roughly about four times the size of UK’s biggest mall, the MetroCentre, the Mall of the World will literally be an air-conditioned ‘city within a city’.